Help us celebrate the start of our 12th Official Season on May 10, 2019. Open bar – Heavy Hors D’Oeuvres! 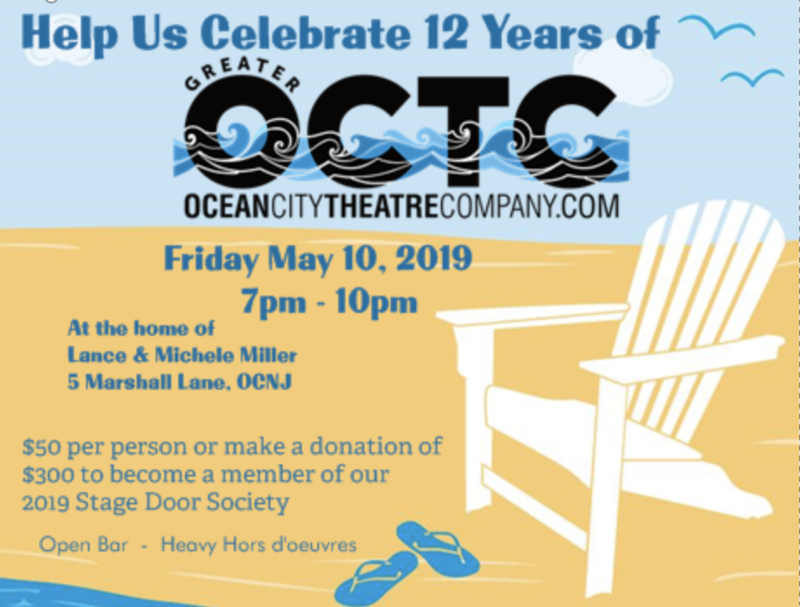 $50.00 per person or make a donation of $300.00 to become a member of our 2019 Stage Door Society. – Two Tickets to the Summer Kickoff Party on May 10. – Two Tickets to Broadway on the OC Boardwalk on June 26. – Recognition as a sponsor at the Summer Kickoff Party. – Listed in the program book for Broadway on the OC Boardwalk. – Letter acknowledging your tax deductible donation.